Cook quinoa according to package directions. Remove and toss to cool. 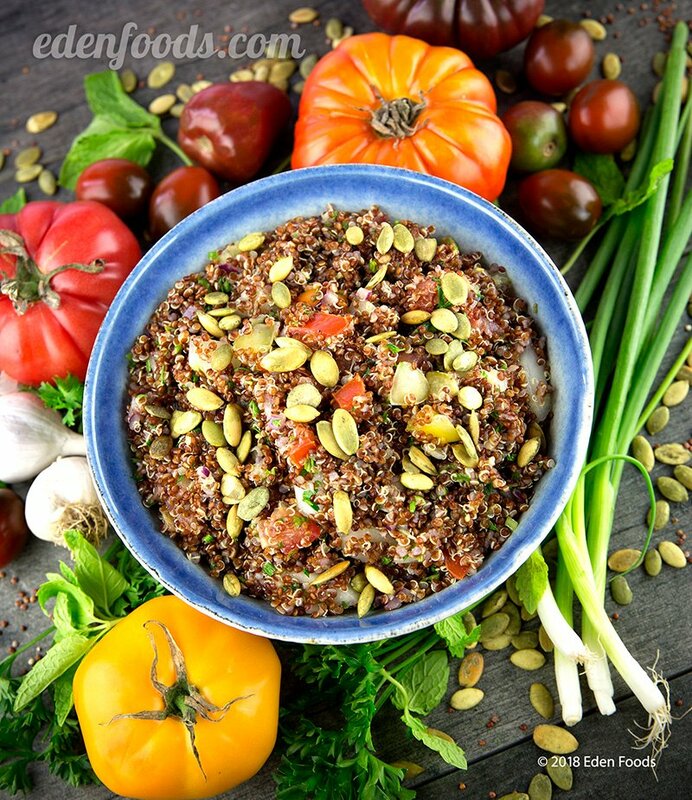 Combine quinoa, parsley, tomatoes, cucumber, garlic, green onions, and mint. Mix well. Combine olive oil, ume plum vinegar and garlic. Mix into the salad.